YouTube is all the rage with kids these days. Not just for watching either. After watching loads of other children on YouTube, my girls wanted to start making their own videos to share. 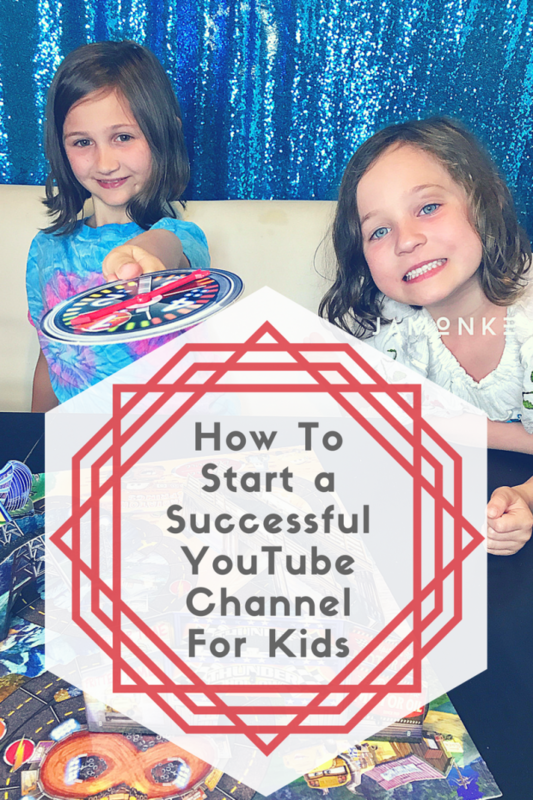 But I didn't just give them the iPhone and let them go crazy; there are a lot of things you need to discuss with kids before they can start their YouTube journey. If their YouTube channel is successful, they have the potential of making money on YouTube that could make for a nice savings account. Shop our favorite video tools from backdrops to lighting here! Privacy Concerns – It's important to talk to your kids about Internet safety. We, unfortunately, live in a world with crazy people. Protecting your children needs to be the number one priority when you start a channel. Things you need to talk about before you get the camera rolling. Nicknames – My kids use nicknames on the internet, that includes even when I write about them on my blog. This will also help if someone sees them out in public and uses their name. Never say your last name, the city you live in, the school you go to, or any other information that someone can simply Google and find a location. 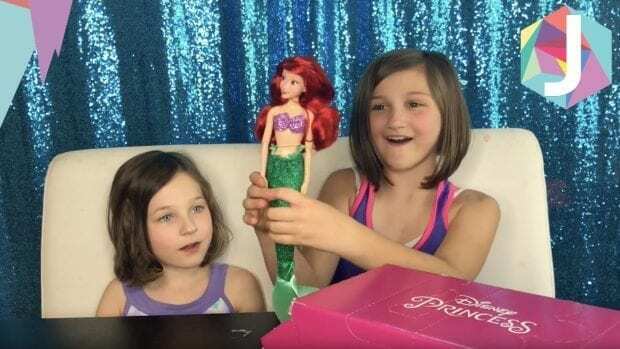 Let your kids be the directors – If your children are obsessed with watching videos of kids playing with their dolls or doing toy reviews, then chances are that they will want to make similar videos. This is how we decided on what we wanted to share. We share unboxing videos and toy reviews with our subscribers. We have a dedicated channel for everything JaMonkey related, but your kids may want an entirely separate channel so that it is all their own. You will need another Google account to set that up; you can link them together for easy management though. Keep in mind that you have to be over 13 to have your own YouTube account so I suggest getting a shared family account. It will help with number 1 and number 3! Screen the comments – Just like you want to protect your child's privacy, I think it is equally important to protect your child's self-esteem. There are trolls out there, and they just want to put people down. Screen comments by going through them before they do. Take out the nasty things that add no value to the YouTube community. When you upload a video to YouTube using the Advanced Settings section to Approve comments before posting, or you can turn them off completely, but I have found that other supportive young YouTubers will leave positive comments on your videos which are always nice to read! Restricted Mode – Place the account in restricted mode so that when they are surfing YouTube online, the language and bad things are filtered out. We love YouTube Kids which is an app for mobile devices that do all that for you. You can do this by scrolling to the bottom of the page and toggling the Restricted Mode button. Teach the jargon – Teach your kids the YouTube lingo. This will help build their following and create a sense of branding as well. When you think of big YouTube stars with popular channels, they have a “template” if you will that they follow. A greeting they use during every opening. “Hey, guys it's Ro. Welcome to another Nerdy Nummies!” – Rosanna Pansino or Nerdy Nummies. Of course, she also has a cool cartoon that rolls at the beginning also. Things to help build your audience are “Make sure you subscribe and give us a big thumbs up!” Ask viewers to leave you a comment about what they want to see, or if they liked this video. Have fun! Making videos for YouTube can be fun but shouldn't stress you out. Shoot it on your iPhone or another smartphone (make sure it is horizontal!). iPhone comes with iMovie built-in, and there are a lot of free apps that you can use to edit videos right on your phone. Here are some of the toy reviews we have done for our channel. This is great! My kids have been dying to make their own channel. Yes, a dedicated channel for them to be the directors would be amazing! Thanks! This helped alot. MY daughter is infatuated with youtube videos and shes been asking to make movies! I will make sure i guide her through it all. Thanks!